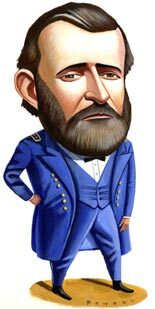 In his masterful Mask of Command, the late military historian John Keegan makes the case that Ulysses Grant's dispatches were as much responsible for victory as his grasp of tactics and infamous determination. General George Gordon Meade’s chief of staff Theodore Lyman once wrote, “There is one striking thing about Grant’s orders: no matter how hurriedly he may write them on the field, no one ever had the slightest doubt as to their meaning, or ever had to read them over a second time to understand them." It was clarity, simplicity and directness that made Grant's dispatches so astonishingly effective. Sir, Yours of this date, proposing armistice and appointment of commissioners to settle terms of capitulation, is just received. No terms except an unconditional and immediate surrender can be accepted. I propose to move immediately upon your works. We have now ended the 6th day of very hard fighting. I propose to fight it out on this line if it takes all summer. When your goal is clarity—to write so that your readers will understand exactly what you mean—write like Grant, with simplicity and directness. Clarity eliminates ambiguity and confusion, and makes reading effortless.